Did you know that over 84% of American adults saw a physician in 2016?1 You would think for an industry that has such a significant impact, they would make things easy, efficient, and consumer-friendly for its users. Unfortunately, this isn’t the case for most. Reflect on the last time you were able to call and book an appointment to see a doctor for yourself or someone in your care. How would you rate that experience? Did you wonder if there was a better and more accessible way to find care? Patients and patient advocates have been demanding to be treated as consumers, who have a voice in how their care is accessed and defining their overall patient experiences. Knowing that, it’s no surprise that patients, as consumers, want their digital healthcare experience to be more accessible and personalized, like retail. A recent NTT Data study found that nearly two-thirds of consumers expect their digital healthcare experience to be more like retail. When asked on improvements in healthcare, 81% of consumers stated that searching for a physician or specialist could be better and 79% said that changing or making an appointment needs improvement.2 These are both critical to improving patient access to care. Broader industry and healthcare IT trends show that consumers will be shifting to manage their interactions with a business in a more automated and self-help manner.3 The growing demand for convenience and personalization of self-service channels by consumers is motivating the adoption of chatbots or virtual agents in healthcare. In call centers, wait times and abandonment rates are high due to the volume of calls received. A certain category of calls, including provider contact information, practice location and office hours, bookings with PCPs, can be automated to improve the overall efficiency. Chatbots allow health systems to shift this demand for access to a self-service model. 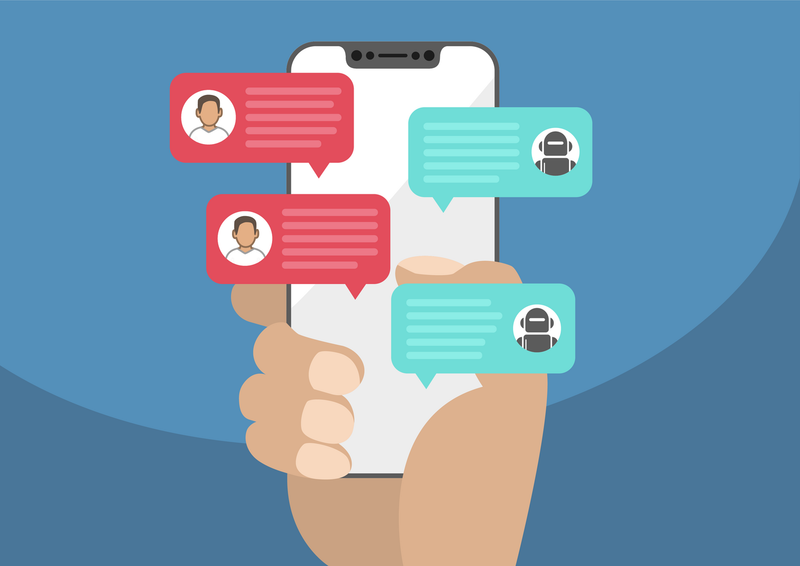 Chatbots provide an opportunity to increase access and engagement for patients as well as improve operational efficiency for health systems. To learn more about consumer behavior and the path to accessing care download our Patient Access Journey Report.